About Us | Northwestern Ohio Community Action Commission, Inc.
Northwestern Ohio Community Action Commission, Inc.
Northwestern Ohio Community Action Commission (NOCAC) is a private, non-profit corporation that was created in 1965 to combat poverty in our service area. Our primary service area is Defiance, Fulton, Henry, Paulding, Van Wert and Williams counties. However, we also provide publicly funded childcare in Hancock, Hardin and Auglaize counties. 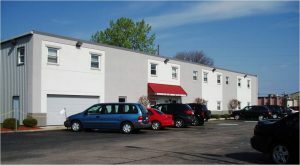 The Central Office is located at 1933 E. Second Street in Defiance Ohio. NOCAC has satellite offices and Head Start/Early Childhood Education Centers throughout the six primary counties. Please check the our Locations to find the office or center near you. Currently, we have 142 employees, and our annual funding is $8 million dollars. An annual agency-wide audit is conducted by independent certified auditors. Our most recent audit can be found under Reports. Our agency has a 20 member Board of Trustees consisting of low-income representatives, county commissioners, and private sector representatives from our six county service area. The majority of our funding comes from Federal and State grants. The variety of services that we provide is made up of more than 1,100 agencies that work to alleviate poverty and empower low-income families in communities throughout the United States. NOCAC offers innovative programs and services in the areas of Early Childhood Education; Emergency Services; Utility Assistance; Homelessness and Housing; Nutrition; Home Weatherization and Repair; Financial Empowerment; Publicly Funded Child Care; Free Tax Preparation and many more. NOCAC does not discriminate on the basis of race, color, religion, gender, gender expression, age, national origin, disability, marital status, sexual orientation, or military status, in any of its activities or operations and is an Equal Opportunity Employer. and we are dedicated to helping people help themselves and each other.